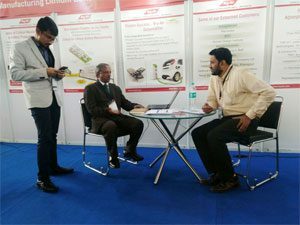 Bry-Air participated in one of the trade exhibition and conference dedicated to e-vehicles and alternate energy, EVEREX 2018. EVREX – Electric Vehicles and Renewable Energy Conference and Expo held on 6th-7th Jan’ 2018, at HITEX Exhibition Center, Hyderabad. Through this event, Bry-Air got an opportunity to interact with the industry experts involved in environmental control chambers.